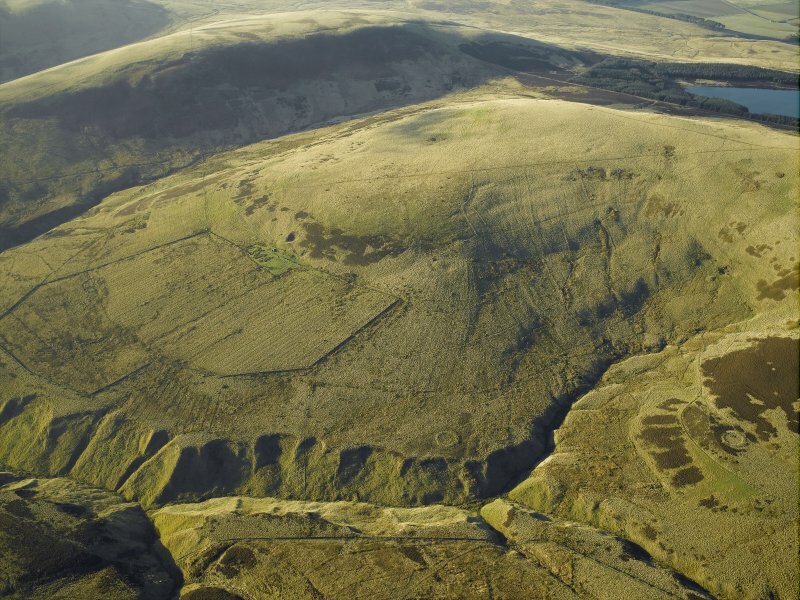 Oblique aerial view centred on the remains of the sheep house, cultivation terraces, rig, farmstead and enclosure, taken from the WSW. 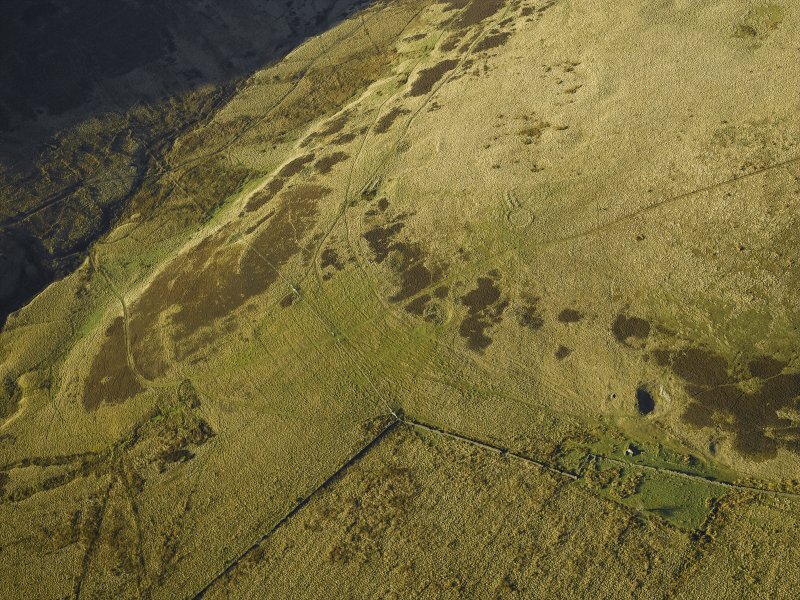 General oblique aerial view centred on the remains of the sheepfolds and rig with the remains of the farmstead, enclosure, cultivation terraces and sheep house adjacent, taken from the E.
Oblique aerial view centred on the remains of the sheep house, cultivation terraces, rig, farmstead and enclosure, taken from the SE. A series of low cultivation terraces, the longest measuring up to about 120m in length and 12m in breadth, is situated on a S-facing slope about 150m SW of Capelaw farmstead (NT26NW 416). 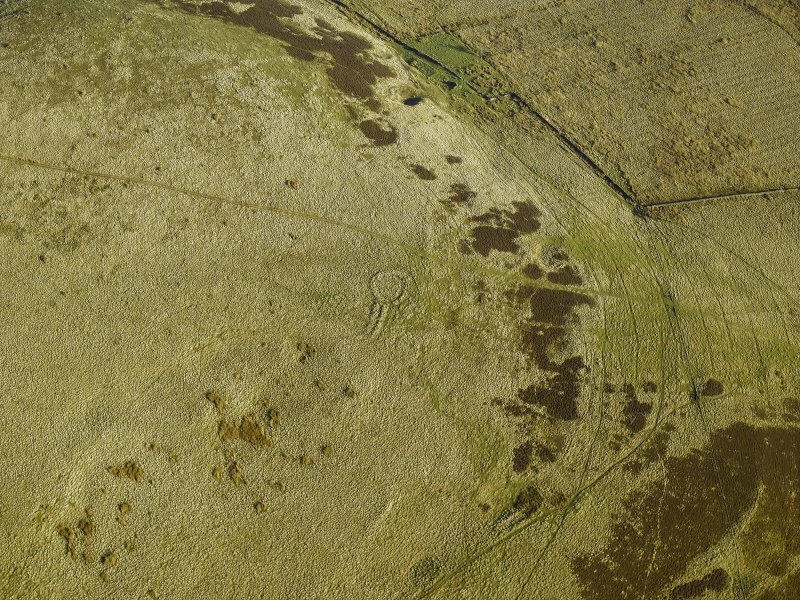 They are possibly part of a field-system associated with the unenclosed platform settlement (NT26NW 30) immediately to the N, and they are overlain by elements of the later field-system around the farmstead. Visited by RCAHMS (JRS), 22 June 2005.